One of the most useful and convenient features within Humanity is HR Document Management. Managers can upload and share any type of files within Humanity. This feature helps to keep all employee related documents within their profile of our application. This feature has been a part of our application for some time now; however, we have extended and added more functionality into this feature. There are times when managers want to share documents with employees so that employees can see and even download them for their reference and then there are times when you do not want employees to see or download such documents. While considering both scenarios we have added a functionality where managers can now easily set permission for an employee to see and download the files. Managers or a person with admin access to Humanity can enable or disable this file sharing feature. 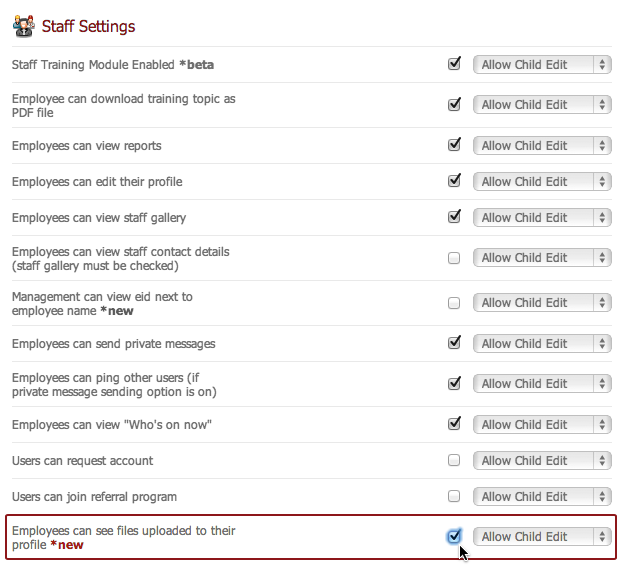 To enable this feature just check the box to the right of “Employees can see files uploaded to their profile”. 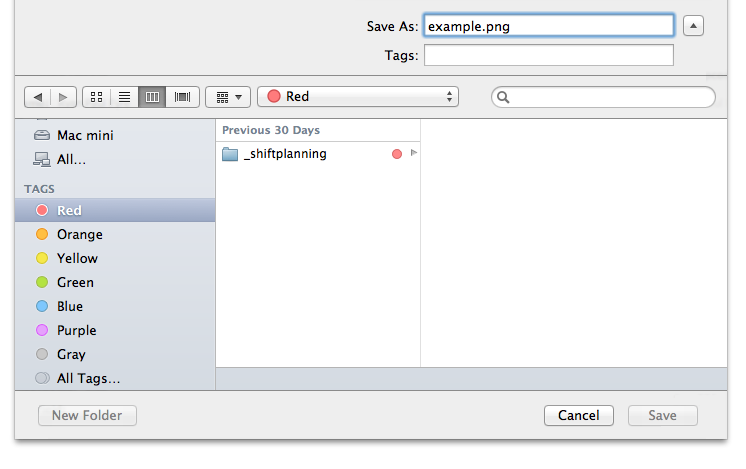 Click on “Save Settings” and this feature will be enabled. 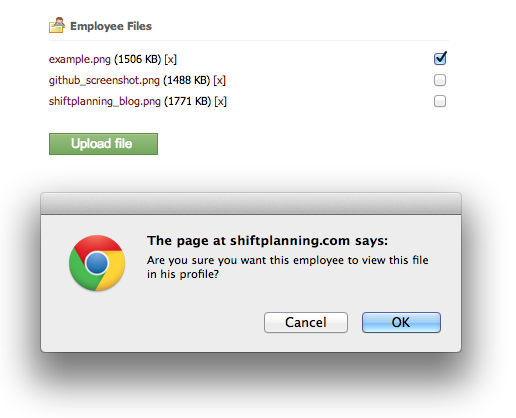 Once you upload any file to the profile of a particular employee you may make it visible to that employee by simply checking the box to the right of the file you uploaded and a pop up window will ask you to confirm as shown in following picture. Now that particular employee can see and download the files you uploaded. How can employee see these files? and on the right side under “Employee Files” they can see the uploaded files as shown in picture below. Employees can easily view or download that file by simply clicking on the file name. We hope that this extended functionality in our HR Document Management will help managers and employees better collaborate within our application while still maintaining privacy of your documents.